Receive 1 Year of FREE Tech Support provided by DIGIXSTREAMSHOP.com w/ Purchase of one of our Fully Setup DigiXstream Android TV Boxes. Our I.T. Tech Support Professional can help you fix any problems you may have easily over the phone or through remote access if necessary! All of our HD Streaming Media Players come w/ 1 Year Warranty! 9am – 5pm Monday – Friday & 10am to 5pm MST. DigiXstreamShop has an IT Department that can fix any problem you have remotely if required. DigiXstream Android TV Box Media Streamers through DigiXstreamShop.com all come with a *1 Year Full Warranty! We can do this because DigiXstreamShop.com is an Official DigiXstream Dealer of DigiXstream Android TV Boxes. Only official DigiXstream dealers can provide warranties. Beware of unauthorised dealers. DigiXstream internet tv boxes from unauthorized dealers will NOT be protected by warranty. The DIGIXSTREAMSHOP.com by DigiXstream SITE DOES NOT HOST, PROVIDE, ARCHIVE, STORE, OR DISTRIBUTE MEDIA OF ANY KIND, AND ACTS MERELY AS AN INDEX (OR DIRECTORY) OF MEDIA POSTED BY OTHER ENTHUSIASTS ON THE INTERNET, WHICH IS COMPLETELY OUTSIDE OF OUR CONTROL. DIGIXSTREAMSHOP.com / DigiXstream RESPECTS THE RIGHTS OF OTHERS, AND PROHIBITS THE USE OF REFERENCED MATERIAL FOR ANY PURPOSE OTHER THAN THAT FOR WHICH IT IS INTENDED (WHERE SUCH USE IS LAWFUL AND FREE OF CIVIL LIABILITY OR OTHER CONSTRAINT) AND IN SUCH CIRCUMSTANCES WHERE POSSESSION OF SUCH MATERIAL MAY HAVE ANY ADVERSE FINANCIAL, PREJUDICIAL OR ANY OTHER EFFECT ON ANY OTHER THIRD PARTY. DigiXstream purchases from all Unauthorized Dealers will NOT be protected by DigiXstream Shop’s 1 Year Warranty, nor will they have any phone support available from DigiXstream, or our OFFICAL DigiXstream Sales, Help, and Support Hub..
We get multiple call each day for DigiXstream Help and Tech Support coming from individuals who tried to save a few bucks by purchasing from an Unofficial Dealer… only to find that they have know idea what they purchased, how to set it up and configure it, or how to maximize its benefits. It is also common that issues arise that usually require tech support to resolve the issue. Can you say RANSOMWARE?? I paid $250 for my digixstreamer at amazon, and it worked well until this company decided it needed more money. Every time I turned on my box at the bottom was a banner from the company asking if you want to earn extra money by becoming a reseller. And now they wont support their product if it came from a reseller. So to generate more money they turned my box and thousands of others into a brick, using a software update, and are wanting money to fix it. Cindy. It seems you did not read our website very well. We are NOT DigiXstream! DigiXstream went out of business before this new year and DigiXstream NEVER offered tech support to the public… not even for an extra fee. No one turned your box into a brick. It’s just obsolete and the company that made it isn’t even around anymore. You don’t want to purchase a DigiXstream Cheryl! Most ALL DigiXstream boxes are obsolete and even if you find a newer one that supports Kodi 17 or higher, it wouldn’t do you a whole lot of good because DigiXstream is no longer in business and therefore there is now Wizard updates. They closed their doors before the new year. That is why there is no DigiXstream.com site up anymore. I am having trouble with my digixstream x5plus! It will not load! I’ve tried everything I could! I did a factory reset, downloaded the media player and media setup! All I get is RED information saying file does not exist, cannot be downloaded right now, contact customer support! I need help, I bought my digixstream from “This” official website and never used my 1 year customer support! Is this issue being addressed? As an alternative, you will want to consider upgrading to the new FOMOstream® Fs1 Series. I purchased 2 boxes from the Missouri State Fair how do i know that it is a 3rd party sale. And i should I have to pay for tech support. We do not have Official DigiXstream Dealers at the State Fair so they are definitely 3rd party resellers. You can look at your bank statement and find out the name of the company who charged you. If they promised you support, they are responsible for providing that support. I have heard that they take days to contact anyone back, if they even do, and when they do, they only help with the basic setup… you know, the one that was supposed to already been done, since they are telling everyone that they are all setup already. If you were lied to, I strongly suggest returning that to them and getting one directly through us. When you order from our DigiXstream Shop, your box will arrive fully setup and ready to plug and play. If it’s too late or hard to return that, you can always order tech support through us. My DX4 box is stuck in boot mode where the time is usually displayed. If I pay for support is this something that can be remotely fixed? Yes Nathan, we can help you fix that if you order tech support through our DigiXstream Shop. We won’t be able to fix that issue ‘remotely’ though. We can walk you through the fix or you can send it to us for repair if you order the full year of tech support. Why does DigiXstream allow 3rd party resellers to deceive the public into thinking they are purchasing a fully functional and supported product. I was at the New York State Fair on Aug 29, and these guys had you believing they were the “official” representatives of DigiXstream products. Fortunately, I have checked a bit on line to get the real scoop. DigiXstream and DigiXstream Shop unfortunately has little control over how someone resells our boxes. If we find out who they are we can try to blacklist selling to them but it would not be very hard for them to organize 10 new people to place 10 orders of 10 each day and they are back in biz. We do our best to educate the public about the dangers of 3rd party purchases. I understand you didn’t realize they were a 3rd party until you checked online. That was very wise of you and we are happy you did your due diligence. If the box say digixstream and the software is digixstream, you guys should be supporting your product. What a bunch of garbage. You put out a product with your name, and because they sell it you don’t make the money. Then don’t sell your boxes to them, and there won’t be anymore misunderstanding. Why do you blame the public for your lack of proper marketing and support. Hope that helps put things in perspective. I purchased a digixstream from Webster Enterprises on February 6, 2016 at the Black Hills Stock Show and Rodeo in Rapid City, SD. According to the digixstream website, Webster Enterprises is an authorized dealer. However, there is absolutely no active, current contact information for either the ‘authorized dealer’ or digixstream on their website. We are having difficulties and have absolutely no recourse to solve the problems. What a horrible waste of money! Melissa, I apologize that that was your experience. I have received 100’s of complaints about Webster Enterprises in the past 8 months and I have told DigiXstream about it MANY times. They decided to make them an authorized dealer anyway about 3 weeks ago and I almost stopped representing DigiXstream because of it. I still might because I do not like to be under the same umbrella as Webster Enterprises. I can assure you that you would have a much better experience through our DigiXstream Shop. Night and day. We saw this product at the NE State Fair and the company was from California and I won’t do business with a company from California….ever!!! So glad to see you are from Colorado and feel that I have a better chance of getting a good product and good service from someone from the Midwest.. The concept interest me as I think cable and Dish and Direct TV have gotten too expensive to buy. The kid at the fair really double talked about the product but as I read questions from your web site I am interested . I have 12 mbps of internet speed and was wondering if that is fast enough to run a movie without it cutting out. I have several friends and family that are interested but thought about buying one and playing with it before we buy in bulk to serve all of us. Have these boxes been out long enough to know that a person doesn’t have to replace yearly? Do they last longer that a year as I see that they have a year warranty. If you get the plug and play do you get a lifetime of support or does that just last for a certain amount of time? Hi Janis, great questions. You will have a decent experience with 12mbps of download. I have spoken with many that had less than 4mbps and to my surprise they were happy. Then I realized it was because they were only using the addons we feature that were on really good servers but avoiding the others. Even just one of our addons is worth the cost of the box but we feature over 30 of them, and you can add 100’s more. Our boxes are designed to last many years and I often talk to people who are still happily running our DX2 models from over two years ago. We continue to update them on the backend for free. After a year of tech support you will be a pro because in that year you will have encountered every issue that you can encounter and I will have taught you how to fix just about any issue you will have. Or, because you have an older generation DigiXstream, you might want to consider upgrading to one of our newer models that come fully setup w/ 1yr warranty & free tech support included. when I go to the kodi media center and go to video or any of the listings, none of the programs are showing?? Sounds like you need to set you box up still. I suggest ordering our tech support because there’s so much to learn and you don’t know what you don’t know. Just a word of advice. I purchased from a state fair and needed tech support. I tried calling the number listed inside the box. Couldn’t get in touch with anyone. I ended up purchasing the hour support using digixstreamshop. I would recommend anyone to purchase from this website. The tech support was excellent and got the box up and running after a downloaded app screwed kodi up. We only used 45 minutes of the time and I was told to call back if needed as I still have time available. Please, Please purchase from this site to eliminate the hassles that you will get from 3rd party vendors. I know if I need assistance or need to purchase a new box, I will come to this site and make the purchase. Thank you for sharing your experience Mark! We a passionate about our product/service and like to help! Just wondering if it’s just my box but when I try and download an app it says this device is not compatible? Any suggestions would help! We bought the digit Xstream. The problem I have is that I have lost the remote. Is there a way I could get another one. Please advise me what I can do. Thank u in advance. Does the DX4 Octa Core | Android TV Box [Fully Setup] w/ Tech Support come with a remote control? Yes Sir. It come with a standard remote that will let you do anything you need. We also sell a Mini Keyboard Remote with Trackpad separately that makes typing a lot easier. We purchased our box from an unauthorized dealer and are having issues with our box and are wondering how much it would cost to get support and to fix. I bought the box from a third party and the model is dl4. I have 100 mbps dowload speed and everytime I watch a movie or tv shows it buffers. It is connected through ethernet cable and everytime I use it, my internet speed drops to 10 mbps. If I am going to purchase support, would you br able to resolve the issue? You run around the bush. Digixstream should NOT sell there boxes to all of the vendor’s on Ebay. They sell the same box you have for $100.00 cheaper. Then Digixstream says they will not support those boxes. What a bunch of bull. You see these boxes come fully programmed by the manufacturer, Digixstream.com is there web page. You guys are just another supplier, that claims you program these systems. The digiwizard should work on all of these systems. That is my two cents and I may be wrong, but digixstream has no business selling there equipment to anybody else that will not support that equipment. Plain and simple over and out. If you buy a digixstream on ebay it should be supported, not banned. You have it all WRONG Thomas. DigiXstream Shop fully sets these boxes up a head of time, get’s them ready to plug and play than then includes a full year of tech support along with the warranty… which is why you will find our units listed for more. These boxes do NOT come fully programed from the manufacture. Otherwise we would have nothing to set up. DigiXstream Shop is NOT just another supplier. We are an Authorized Dealer and the OFFICIAL DigiXstream Sales, Help, and Support Hub… as DigiXstream verifies on their own website. Yes, the Digiwizard should work on all of the DigiXstream systems, we never said it wouldn’t. As for your opinion and two cents, you are entitled to such, just like DigiXstream is entitled to run their business how they choose. At some point, I recall seeing something indicating you could mirror the stream to another TV from one box. Is that really the case? I purchased one box from you and a family member liked so well I gave it to her. She cannot afford to buy another at this time, but thought this might help her out until she can. Can you help or do we need to call support? I recently purchased a unit on 11/20/15 (Order #3761) through your website and gave it to my husband for Christmas.. he absolutely loves it but have been experiencing issues as to access to the HD / HQ movies from all the preloaded programs (KODI). If the movie is available to watch, we usually click onto the first movie that is offered on the list and it does say that it is “working” on the bottom right of the TV but the movie does not play or an error note is given? We also wanted to know how to watch regular cable channels such as the local news station, Food Network, Animal Planet, Velocity, Discovery Channel and National Geographic? also HBO, Showtime and the pay-per-view channels?? I really want to cancel my cable box subscription but unless we are able to confidently able use the digixstream box.. i keep paying the ridiculous $160.00 monthly bill? Please help?? Hi Mishy. You will need to contact us via phone or email for support if you ordered your unit ‘fully setup’ with tech support included from our DigiXstream Shop. Phone Support Hours are: 9 – 5 MST Mon – Fri and 10 – 5 MST on Sat. 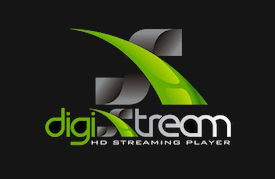 This Digi Stream is a scam……….save your money and go to Best Buy or some other place where you have recourse and help and can buy a different streaming device. Bought a DigiStream two years ago at the Oklahoma State Fair, was told I had support, blah, blah, and still have not been able to use it. For this site to not support their product is BS. Like I said save your money, it’s a SCAM. Yolanda. You didn’t order from our shop or even a reputable dealer which is why you had a bad experience. Our DigiXstream Shop is not the manufacture. Our shop has been representing the DigiXstream Brand since 2014, and ALL of our direct ‘DigiXstream Shop’ customers are very happy. If you had ordered yours through our DigiXstream Shop w/ support included in the price, you would be just as happy as all of our supported customers are who have ordered their unit fully setup with tech support included through our DigiXstream Shop. I’m wondering how much of my limited bandwidth I’ll use while streaming movies and TV shows through KODI and the other apps? There is now way to answer that. To many factors to consider such as quality and file size of stream. Hello! We love our digixstream. However we’ve had a problem the past few weeks where all the settings keep getting reverted on us…. settings in the skin/settings and the add-ons shortcuts. How can we prevent those from getting reset every other day? 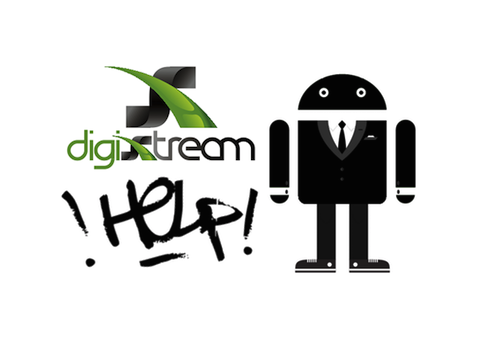 Megan, if you have DigiXstream Shop tech support available to you, please contact us by phone or email with all related support questions. Thanks. I thought I would shoot you a line. I have 15 minutes remaining on my 1 hour tech support. Saw you post about the only wizard add on. I ended up clearing the data and tried installing the add on but had script issues. I had the adult wizard add on working from last week. Hopefully there will be a fix for the only wizard add on. Please let us know. I can fix that for you Mark; if I haven’t already. Please keep in mind that phone or email is that best and fastest way to get a message to me. Hi Neil. Can you explain how to add any channel to the Favorites ones it is found using the remote control ? Is there a single place to store all the favorites ? I’m sorry that was your experience Kathy. I can assure you that was not DigiXstream or DigiXstream Shop at the fair. It was definitely a 3rd party reseller. Eric, we are happy to help. We provide tech support, training, and troubleshooting via the phone 9 – 5 mon – fri & 10 – 5 sat MST. If you have ordered a unit ‘fully setup’ through our DigiXstream Shop, the support is free during the first year. All I can tell anyone who wants to purchase a DIGIXSTREAM box should buy directly from DIGIXSTREAMSHOP. Get the fully set up units with support, Neil and DIGIXSTREAMSHOP has pleasantly helped me resolve my issues with ease. They are very prompt and courteous. I, too, bought a box at a fair and returned it the next day and purchased my DX4 last year from DIGIXSTREAMSHOP and have never looked back!!! Thank you Neil and DIGIXSTREAMSHOP for everything! Not sure if you have a FB and would like to cut and paste your comment as a review, but that’s the most valuable place for us to receive online reviews at the moment. My digixstream keyboard will not work my dx4 plus box. I have a DL4 box with 100Mbps at my place. When I do the speed test it only shows 35Mbps. It is hard wired, not wireless. Is there a limitation on this box’s network card? Hi, I purchased through digixstream.com site. I received my dx4 box about a week ago. But my remote is acting up. Only some buttons are working. I can scroll up and down but not left or right. Can not click OK either. Because you ordered from Digixstream.com instead of our DigiXstreamShop.com, you’ll need to order our tech support service before we can assist you with anything warranty or support related. That way we don’t devalue the support that our direct customers have paid for. You have a 1 year warranty with Digixstream.com but they do not provide tech support at all and good luck even getting a hold of them. Not only do we sell our boxes for less, our shop is the only place to get these units fully setup ready to plug and play with 1 year warranty & tech support included. Feel free to call us if you have any questions or need us to clear anything up. Hola disculpa podrias ayudarme a restaurar mi digixtream dx4 no se que le paso se quedo sin apps podrias brindarme tu ayuda remota? Give us a call Tamara. (303) 997-1709. There are a few options we can offer you. When I go to the media center on my device i get a message saying that the server is busy. I am not able access Kodi. I’ve already tried reinstalling, but I still get the message. Can you please advise? DigiXstream went out of business before the new year and the DX4plus and older models will not get any new updates from the Kodi Add-ons. How come when I factory reset the box , the Digi Wizard dosent pop up in the Kodi anymore ? Hi, I’ve reinstalled wizard many times and now when I factory reset the box there isn’t wizard anymore. Please provide a link to reinstall everything. I know you guys split the company but you have left paying customers out cold without any info on the steps required to reboot, factory reset or reinstall wizard. You seem to have a misunderstanding. Our DigiXstream Shop did not, do not, nor have we ever left paying customer out in the cold. Correct me if I am wrong but, you have never been a customer of our DigiXstream Shop; as of yet anyway. We are not the manufacturers of the DigiXstream brand. Therefore you can not reasonably expect us to provide free tech support, help, and information to anyone and everyone who purchased a box years ago from a 3rd party dealer or even directly from the manufacturer. Also, we didn’t ‘split the company’ as you put it. DigiXstream and DigiXstream Shop have always been two completely different companies run by completely different owners and staff in different locations… and we share very different values. I’m really sorry if someone you paid is not following through with what they promised, but I’m not that guy, nor was it anyone from our DigiXstream Shop. I’d take it up with your CC company if you bought it within the year and someone promised you something in writing that they are not following through with. So is the wizard just gone? I bought my box less than a year ago from digixstream. Is that who I should be calling? This is so frustrating. Is there another wizard to install or am I just up a creek with no paddle? I factore reset but always come back to the same tv app store. I have my purchase receipt proving I purchased my digixtream from digixstream shop. The unit was purchased at the Iowa State Fair. When !only wizzard was removed from the system restore and replaced with the new install software I began to experience problems such as a complete loss of all program addons, thus forcing me to go into the App Store and reinstalling everything again and again. This last reinstall worked until I shut the system down and turned the system on a day later. Everything was erased again remotely by someone whom I believe is digixtream shop. Who else could it be. What gives? Am I deliberately being targeted with malicious software programming to force me into buying a new system from digixstream shop? No Roger. If you purchased your unit at any state fair, you didn’t NOT purchase from our DigiXstream Shop and we are NOT targeting you with malicious software. Check your receipt again. I can assure you that it doesn’t say “DigiXstream Shop.” Our DigiXstream Shop has never sold DigiXstream boxes at of the state fairs, ever. That was probably Webster Enterprises you purchased your unit from. They were unauthorized resellers. You’re having issues with your box because it’s too old to support Kodi 17 Krypton and higher AND DigiXstream the company went out of business before this new year. As if says in the front of our website in a popup when you first visit it, we stopped selling DigiXstream boxes in 2016 and replaced them with our own brand, FOMOstream®. Whats going on with the Media Setup? I keep getting an message saying the file may be unavailable. Hector, DigiXstreamShop.com has always been completely independent of DigiXstream. I own DigiXstream Shop (and FOMOstream®) but I never owned the DigiXstream brand. DigiXstream, LLC. didn’t even pay me to support their brand. They just gave me a supposed good deal on boxes to resell for them, but I most of my money charging for tech support. I understand that you are upset. You’re not the only one. I’ve spoken to 1000’s of customers that have been through the same thing. I myself got stuck with over 30 units that I didn’t have the heart to sell in 2016. I’ve been blogging about all of this and warning the public not to buy DigiXstream boxes since 2016. This is all still on public record and easily found online, so please get your story straight and stop criticizing the one and only person who is trying to help you… and the only person who is even qualified to help you. We own both a Digixtream DX4 box and a DX5 plus box. Like everyone else, I can’t get my boxes to work. Over the years I’ve had to clean out memory, reinstall everything and get things working again. Retired, so on a limited budget at this time. Do you think, with your help, Could I get one of the boxes working again, and if so, which one ? Also, what are your hours for tech service ? Thanks . . .